I hope you are enjoying a wonderful holiday break and that Christmas was a day filled with love and laughter and times that you spent with family, friends and people you love or just a great day for a relaxing beach vacation. I still hold out hope that one day that will be my Christmas vacation. I know that sometimes this holiday can be tough with plans not always working out the way we want. I had always thought I would spend the holiday with my family, but then my family unit changed with the passing of people who were very dear to me. I know I’m not alone in this. We don’t live forever and though we know this, it’s still hard to let go. Here I started out this letter to you wishing you a happy new year and then immediately drifted into what isn’t perfect about this time of year, but as adults, we learn very quickly that nothing is perfect, but we can always look into our lives and find what is good. As I was driving to work the other morning, I was listening to a podcast by a British author who I always find uplifting. She records a weekly podcast that can be viewed on youtube.com, so if you are interested in learning more about writing, I suggest you visit her webpage, thecreativepenn.com. She has recently co-written a book with a medical doctor about how writers can stay healthy, not just physically but mentally, and one of the suggestions they made was to write down five things that have made you happy or for which you are grateful, and not just once or once in a while, but do this every day! And I thought to myself, how long would that take? There might be a few bumps at first because I’m like everyone else, there’s plenty in life that makes me unhappy, and I’ve never had a problem identifying what makes me unhappy, but if I stop to think about it, there’s plenty that makes me happy and if I really think about it, there are 5 things that make me happy and if I think really hard, I could actually find 5 things every single day that make me happy. I could make this a habit. If I started out doing this every day, eventually, this would be something that I have to do or I wouldn’t be able to sleep at night and that little nudge in the back of my brain would poke me and say, “You didn’t your 5 happy things yet,” and then I would crawl out of bed and make that quick little note. I’m not saying that would help me fall asleep, but at least I could mark it off my to-do list. Normally, I don’t make New Year’s resolutions, but this is one I want to make and will force myself to keep, and I plan to start this now even though 2018 hasn’t quite ended, but by the time you read this, it may be 2019. I wasn’t sure where to write this list. Should I make a new file on my computer, but then I realized a great place to write this list would be my online calendar. I check it every day, so I may as well write my 5 things that make me happy on that calendar. I had read that successful people are grateful people. Oprah Winfrey talks about this quite often and she is a very successful person. She’s overcome great obstacles, but rather than focus on those, she talks about things that make her happy. For someone who can buy anything, I find that quite remarkable. 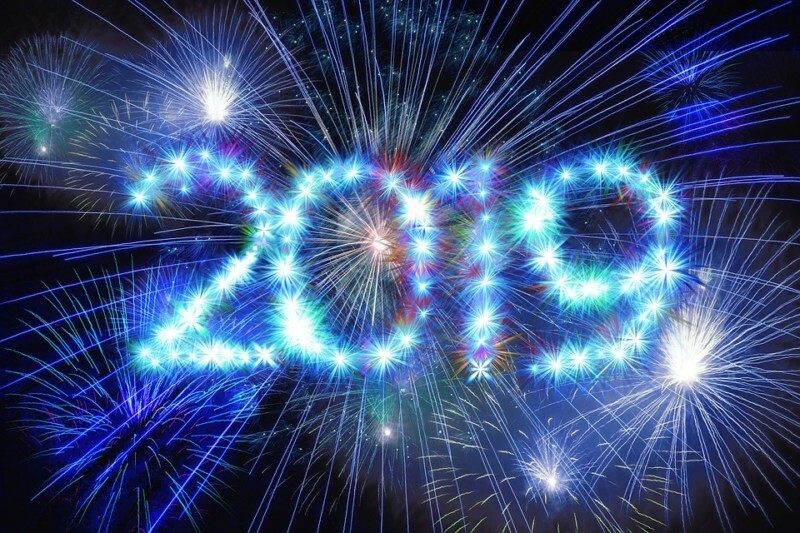 Whether you make New Year’s resolutions or not, I hope that 2019 brings you a year of opportunities and that you find joy and peace and love in everything you do and in everyone you meet. I hope for a wonderful future for you with much success and happiness and good health. Isn’t that something we should all be grateful for? Those who have good health can take it for granted. When we’re young, we don’t consider it anything special, but as we age, we realize what a valuable treasure our health is. May you spend an enjoyable New Year’s Eve doing something you love, and may your 2019 be filled with God’s blessings. Happy New Year!